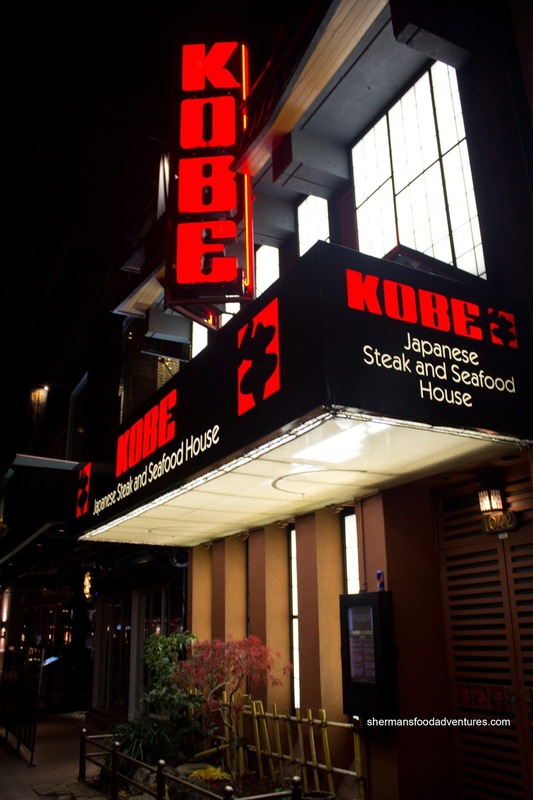 "Have you heard of the Travelzoo coupon for Kobe Izakaya? ", queried Whipping Girl one day. 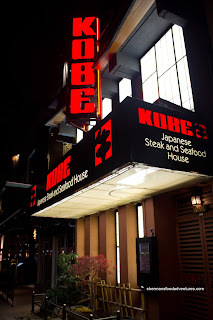 I actually had, but was a bit confused because I thought Kobe was purely a teppanyaki joint. Apparently, they started serving a modest Izakaya menu down in the lounge section of the restaurant. At first, I was hesitant to buy the coupon because the last time I was here, there was a "miscalculated" tip fiasco where someone had paid for the bill but accidentally left only an 8% tip. We ultimately returned rectifying it, yet it was highly embarrassing nonetheless. Apprehensively, I bought the coupon and ended up forgetting about it until it was about to expire. Naturally, I rushed to use it and of course bring Whipping Girl with me. Not really knowing what we were getting into, I had tempered expectations. We started with the Tuna Avocado Salsa consisting of ahi tuna, tomato, avocado and onion in a sweet soya sauce with wonton crisps. 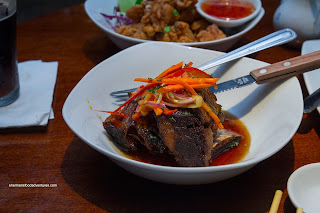 This was a fairly substantial portion with fresh and vibrant ingredients. The flavours were balanced except I would've liked to see more acidity. 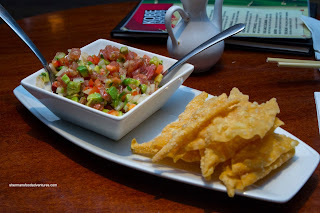 The wonton chips were light but held up to the ingredients. Next up was the Ebi Mayo in a sweet and spicy Japanese mayo sauce. 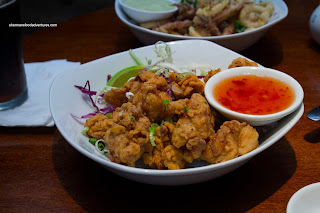 The prawns were lightly crisp and exhibited a meaty snap. Creamy, spicy and sweet, there was just enough sauce clinging to each piece. Continuing on with the deep-fried goodness, we had the Chili Garlic Calamari with a citrus, chili and garlic sauce. 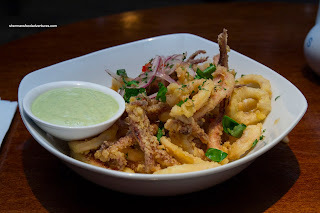 With a mix of crispy and slightly soggy pieces, the squid was very tender (possibly too soft except for the tentacles). I did like the noticeable citrus zing, yet didn't notice much of the chili though. 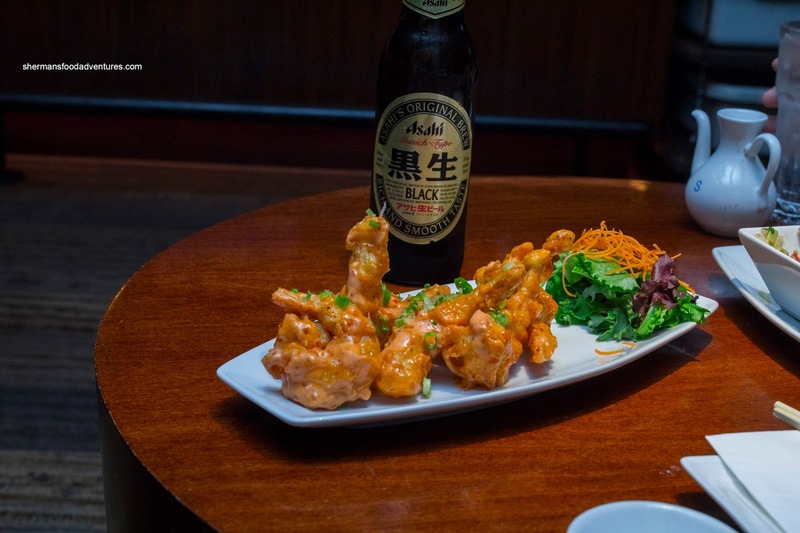 We really liked the Chicken Karaage as each nugget was crunchy on the outside and bursting with juice on the inside. This was a well executed dish where the batter was nicely seasoned. However, I wasn't a huge fan of the sweet chili sauce as it really didn't fit the dish. Lastly, we tried the slow-cooked Short Ribs that were seared and marinated with a sweet glaze. The outer "bark" of the rib was flavourful and caramelized while the meat itself was somewhat stringy. Yet it was sufficiently moist and rich. By this point, we were pretty full since each dish was well-portioned. In general, the food was more than acceptable for the price. Oh, and I made sure the right tip was left this time.